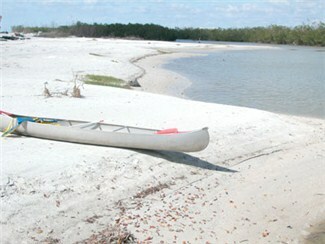 Lover’s Key is a small group of mangrove islands located in Lee County between Ft. Myers Beach, Fl, and Bonita Beach. It’s right on the Gulf of Mexico. The islands are collectively known as Lover’s Key State Park (formerly Carl E. Johnson Park). Lover’s Key beach is renourished periodically. The water is quite calm and shallow and the beach is popular with picnickers and fishermen and kids and sunbathers and families. There is also a gazebo on the beach with picnic tables and there are restrooms down on the beach. Manatees, dolphins, coastal birds and even bald eagles can be seen on the islands and in the waters surrounding them. Lovers Key offers hiking, biking, and shelling in a pristine setting. $8.00 per vehicle. Limit 2-8 people per vehicle.